How does momentum transfer in a splash? Barely visible to the careful observer, small droplets of water can slide or role across the surface of water only to rapidly disappear by finally coalescing. 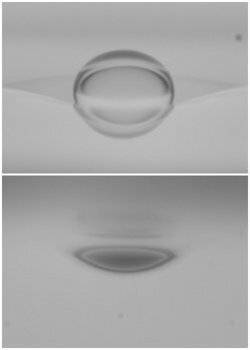 Drew Rohm-Ensing began studying the motion of these droplets to find their speed decreases exponentially. He began developing a model to explain this behavior. 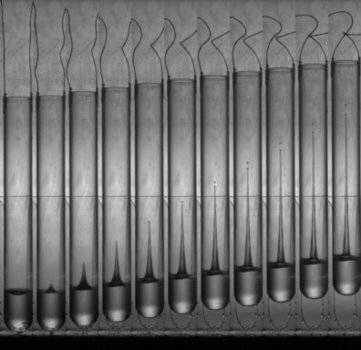 Caleb Akers reproduced the preliminary results and found greater details in the deceleration of the droplets. Caleb built on the physical model to fully explain this motion. 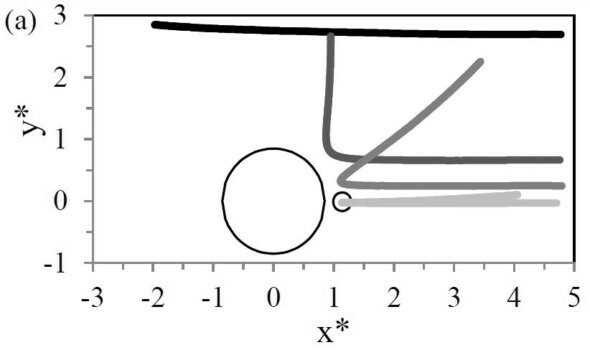 This work culminated in a published article in the Journal of Fluid Mechanics. Skirting droplets exhibit interesting behavior when the surface of the bath is curved. Two droplets can spiral inwards towards each other; droplets will rebound from the meniscus formed at the container wall or around a vertical cylinder penetrating the bath surface. The droplets act as probes of the bath surface geometry, effectively the potential of the surface, much like the electric potential in nuclear scattering or the gravitational potential in planetary orbits. 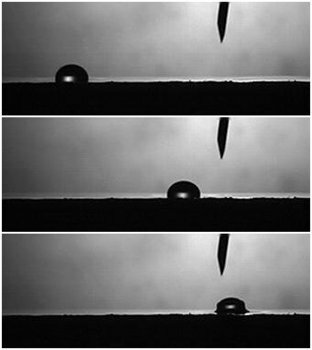 Using skirting droplets, Jacob Boudreau probed the shaper, or potential of a cylindrical meniscus by measuring the deflection angle of droplets that scatter from the meniscus. 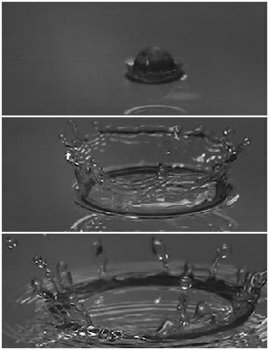 When a drop of water falls into a thin film of water an elegant splash occurs. A wall of water grow up and outward from the impact site but the rim of this water wall is unstable and it quickly breaks into droplets that are ejected outward. If the initial drop falls straight down then the net horizontal momentum throughout the splash should remain zero. On the other hand if the initial drops falls at an angle, how much of the initial horizontal momentum is lost due to the viscosity and surface tension of the thin water film. Quin Abarr studied this question and found the relative contribution surface tension and viscosity make to the impulse on the drop. 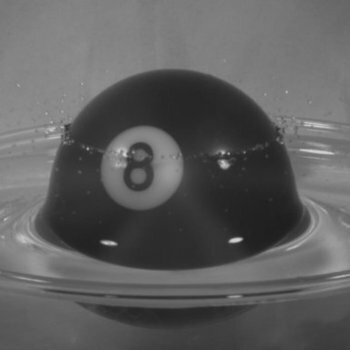 When a hydrophilic sphere impacts a pool of water the surface of the water speeds up and around the ball faster then the ball enters the water bulk. What are the forces that cause the thin film to move so fast and curve around the ball? Steve Liu analyzed this problem to show the effect of the film on the ball and the effect of the ball on the film. If you drop a test tube of water a strong jet is created. The dynamics resemble that of a dropped stack of superballs. Can the two systems be compared? 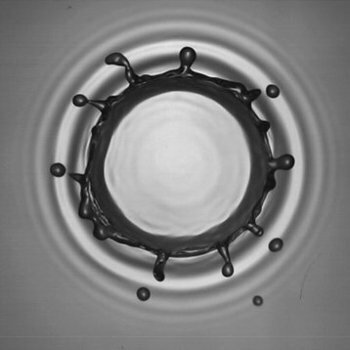 Brian Good studied this problem to show that indeed momentum conservation in the fluid can be viewed as the continuous stack of tiny superballs.